The single vineyard Vina Lanciano is planted with 85% Tempranillo, 10% Graciano and 5% Mazuelo. 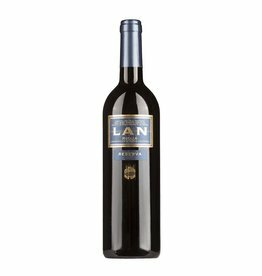 The winery itself calls Lanciano the soul of Lan. The grapes from the over 30-year-old vines are harvested by hand and subjected to extensive selection on sorting tables, only excellent grapes are good enough for the Reserva Lanciano. The same applies to the barrels of Tronçais oak in which the wine ripens for 12 months, after that it spends another 6 months in Russian oak. After another 18 months bottle maturity it is sold. The Lanciano is characterized by ripe red and dark berries, as well as a slight hint of licorice, it is mineral and elegant, a remarkable Rioja, one of the best wines in the region.